"I want to save this recipe to my recipe box." 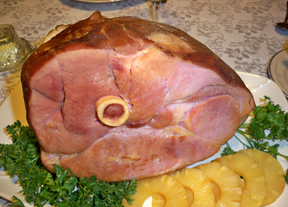 Place ham in a roasting pan. Score the surface with shallow diagonal cuts. Insert cloves into cuts. Cover and bake at 325 degrees for 1 - 2 hours. 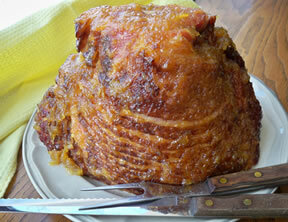 Combine brown sugar and pineapple juice pour over ham. 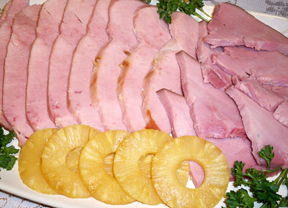 Arrange pineapple and cherries on ham. Bake uncovered 30 - 45 minutes longer.